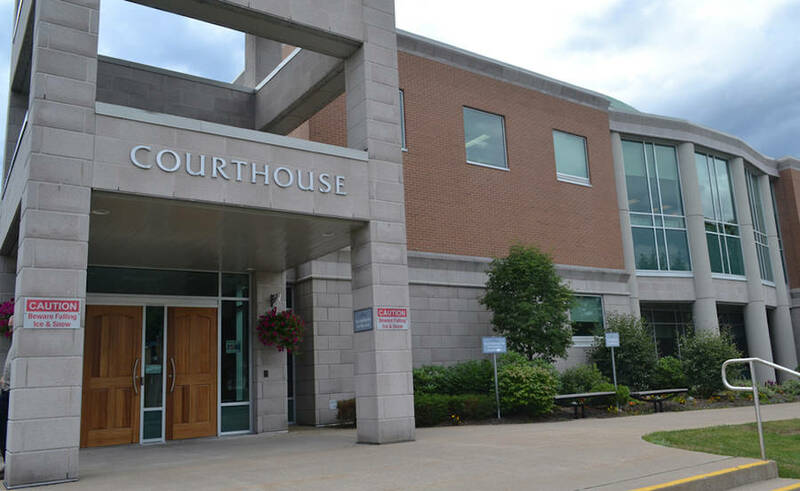 A Lunenburg County man's choice to carry a loaded firearm on the crowded South Shore Exhibition grounds amplified the potential of gun violence and catastrophe for thousands attending Bridgewater's agricultural fair, a provincial court judge commented. The judge made his comments after sentencing the Oakhill resident to more than three-and-a-half years in prison. Judge Paul Scovil described the facts as "truly chilling," after hearing during August 14 court proceedings that an intoxicated Matthew Jordan Corkum had a .22-calibre handgun while attending the Big Ex. Police found the gun and a knife in Corkum's jeans pocket when they arrested the 26-year-old for public intoxication in the early morning hours of July 29 following complaints that he was drunk and causing problems. Corkum answered "no" when authorities asked whether or not he had any weapons or dangerous items on his person, court heard. Officers conducting patrols on the grounds near the beer barn were also given information from an anonymous source that Corkum may have shown someone a firearm the previous evening. When an officer asked why he had the gun, "Mr. Corkum responded 'you would have one too if people were trying to kill you'," Crown prosecutor Leigh-Ann Bryson explained to the court. The small revolver's seven-shot cylinder was nearly full when police seized it. "The firearm was ready to be fired with a round in the cylinder in front of the bore," Bryson said. "The revolver had a double and single-action trigger, meaning that the trigger could be pulled releasing the hammer in either the cocked or de-cocked position." Corkum, who pleaded guilty to charges of possessing a firearm while prohibited, possessing a weapon for a dangerous purpose and possessing a prohibited firearm with ammunition, was sentenced to three years and seven months in federal prison but was given credit for his time spend remanded in custody since his arrest. "Mr. Corkum had a handgun out in public at a public event at which there were thousands of people," Bryson said. "The Crown submits that was, de facto, a dangerous situation." Corkum must also submit a DNA sample to the national databank and is subject to a 10-year firearms prohibition order. Items seized during the investigation were forfeited to the Crown. Court heard he has a previous conviction for robbery for which he was sentenced in 2011 to over three years in prison. "It's going to be his choice to make whether he leans on his past as an excuse to do nothing and continue to come to the criminal justice system," Corkum's defence lawyer Bob Chipman told court, "or take the opportunity to accept services; work towards completing a trade and work toward becoming a productive member of society." The seven other charges against Corkum were withdrawn following sentencing. A member of the South Shore Exhibition Commission board has indicated the July 29 incident could result in changes in how security conducts operations at future events. Bridgewater's mayor has stated board members and town officials will work together to enhance public safety at future Big Ex's.